The Israelites, our early ancestors in the faith, were birthed through God's dramatic promise to an elderly man named Abraham and his barren wife named Sarah. "Sarah your wife shall bear you a son, and you shall call his name Isaac. I [God] will establish my covenant with him as an everlasting covenant with his offspring after him" (Genesis 17:19 ESV). So it happen that Isaac was born to the couple, and God's dramatic promise called forth life from the most empty of wombs. Later, Isaac's lineage wound up serving as slaves in Egypt for a ruthless unnamed Pharaoh. Our early ancestors in the faith, then, were liberated through God's act of dramatic deliverance which was mediated by Moses and his brother Aaron. You blew with your wind; the sea covered them; they sank like lead in the mighty waters. Who is like you, O LORD, among the gods? Who is like you, majestic in holiness, awesome in glorious deeds, doing wonders? You stretched out your right hand; the earth swallowed them. You have led in your steadfast love the people whom you have redeemed; you have guided them by your strength to your holy abode" (Exodus 15:9-13 ESV). That's not exactly a Top 40 hit on today's radio airwaves, but it's a powerful proclamation nonetheless. Then as they wandered in the wilderness - somewhere between the lands of slavery and freedom - these people were sustained by God's dramatic provision of wonder-bread, also known as "manna" in Exodus 16:15 (the Hebrew word is man - pronounced "mon" - which means "What is it?"). In these founding narratives of our faith tradition, God acts dramatically and decisively to promise, deliver, and sustain the people he has chosen to be his partner in his pyramid scheme to fill the whole world with his blessing, glory, and grace. These kinds of dramatic stories could be multiplied: a donkey speaks, fire from heaven consumes an offering, a bush catches fire but doesn't burn up, a man survives a night in a den of lions, another man survives days and nights in the belly of a large fish, and three men are locked in a fiery furnace but aren't burned up by the flames. These stories are all top-down in their orientation. That is, they hinge on God's ability and willingness to counteract "the order of things" as we know it. This could also be dubbed "grace," or in more extreme cases "miracle." While some people insist that these kinds of stories disclose God's usual modus operandi, that view must be checked by the gut-wrenching mystery of why God would preserve three men in the fiery furnace of Babylon (Daniel 3:27) but did nothing for six million Jews in the fiery furnaces of Nazi extermination camps during the Holocaust . For the most part, such dramatic acts on the part of God are few and far between. Israel has to learn to live without such dramatic interventions of God. Their world, then, was much the same as ours today: day in and day out, birth and death, love and hate, joy and strife, good and evil, peace and war. Such recognition, along with the exile from their land and destruction of their temple in 587 B.C., gave rise to a prominent tradition of wisdom teaching that grows from the ground up. In contrast to the top-down activities of God in revelation and miracle, the wisdom tradition emphasizes that God is present in and attentive to the life of Israel in hidden ways that are rooted in the very structures of creation. Thus Walter Brueggemann comments, "The discernment and articulation of recurring patterns of behavior and outcome permit the wisdom teachers to insist that God's world is reliable, though the claim is rooted in experience rather than in revelation". The wisdom tradition recognizes God's abiding presence at work in the world. Indeed, those early faith communities assumed that the world was ordered and sustained by God's own wisdom. People marked by wisdom were the ones who saw the very wisdom of God at work in the rising of the sun, the changing of the seasons, and the right amount of rain falling at the right time for the crops. Not to see such occurrences as the products of God's wisdom would be the height of foolishness! But God's wisdom wasn't limited to natural events. It was also experienced in good meals with good friends, kind words spoken at the right time, justice rightly administered by the rulers, and long lives well-lived. All these things were possible because of, and said to proceed from, the ever-present wisdom of God. Jeremiah puts it like this: "It is he [God] who made the earth by his power, who established the world by his wisdom, and by his understanding stretched out the heavens" (51:15 ESV). The books in the Bible that fall in the wisdom category are Proverbs, Job, and Ecclesiastes. Each of these books, however, has its own take on what a life of wisdom looks like. Proverbs is made up of conventional teachings of the right way and the wrong way - the way of life and the way of death, the way of wisdom and the way of folly. Job is a kind of literary protest against the kinds of firm and settled conclusions of the book of Proverbs. The book of Ecclesiastes puts forward the idea that life is a mystery and therefore resignation, rather than protest, is the only way to go forward with God. The existence of these multiple perspectives within the canon of Scripture generally, and the wisdom tradition specifically, leads us to conclude that there was ongoing reflection and discussion through which different interpreters within the Jewish community sought various ways to hold together their theological convictions with the facts on the ground. Brueggemann again sums up the wisdom tradition by saying, "The wisdom teachers refuse the endless caressing of our favorite miracles and call us to resonance with the steady reliabilities of creation that are always well out beyond ourselves and our control". 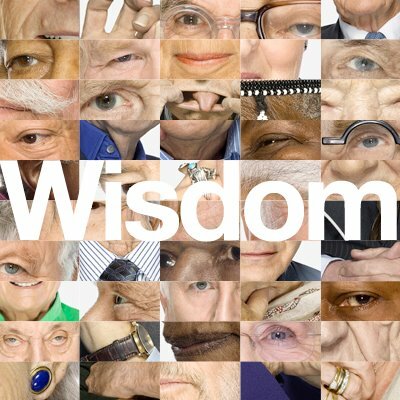 Wisdom - Introduction from State Library of New South Wales on Vimeo. On this line of thinking, see David Blumenthal, Facing the Abusing God: A Theology of Protest (Louisville: Westminster/John Knox, 1993). Walter Brueggemann, Reverberations of Faith: A Theological Handbook of Old Testament Themes (Louisville: Westminster/John Knox, 2002), 232. Walter Brueggemann, Disruptive Grace: Reflections on God, Scripture, and the Church (Minneapolis: Augsburg Fortress, 2011), 260.